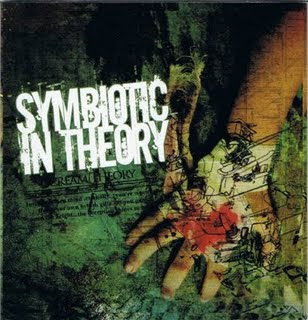 RANDOM: SYMBIOTIC IN THEORY "Scream Theory"
SYMBIOTIC IN THEORY "Scream Theory"
Allow me to justify another big nod of approval for SYMBIOTIC IN THEORY. “Scream Theory” is without doubt one of the better self-releases of the local scene. The first thing I’m going to be discreet upon is of course the music. The very music. That, in reality; is what to define a release for. Solely for that reason. And I won’t be wrong if I deemed their music as technical, prog-inclined death Metal. And they handle it the way it should be. The songs are tight, solid, and served well. I have no complaints on it. What matters is whether you dig this kind of death Metal or not. A cover of ATHEIST’s ‘Unquestionable Presence’ included as well, reminding you of one of their obvious heroes. Or take NECROPHAGIST for the most recent ones (the band name, isn’t that obvious enough?heh). The decision to record this in Indonesia of all places resulted in that mammoth-like juggernaut of “Scream Theory”. The recording studios and its people in the local scene should take notice. Solid. POLONG "Worship In Jahanam Darkness"